Reviewed by Diane K. M.
This book combines two of my favorite topics -- alcoholism and writers. And yet, I was disappointed. Olivia Laing picked six writers who struggled with alcohol addiction: F. Scott Fitzgerald, Ernest Hemingway, Tennessee Williams, John Cheever, John Berryman, and Raymond Carver. Laing traveled around the United States to visit their old haunts, analyzed their writings about drinking, and mixed it all up with some scientific research into alcoholism. "I wanted to know what made a person drink and what it did to them. More specifically I wanted to know why writers drink, and what effect this stew of spirits has had upon the body of literature itself ... There have been many books and articles that revel in describing exactly how grotesque and shameful the behaviour of alcoholic writers can be. That wasn't my intention. What I wanted was to discover how each of these men ... experienced and thought about their addiction." What I found most interesting were the drinking stories and quotes she included from the writers themselves or from those who knew them. However, there are only eight chapters in the book, and instead of focusing on one writer in a chapter, she jumped between the six men so often that I found it jarring. For example, just when I would be getting in the groove about Cheever, she'd suddenly switch to a Fitzgerald anecdote. I think my favorite section discussed the friendship/rivalry between Fitzgerald and Hemingway, and how Hemingway would look down on Scott for not being able to hold his drink. Hem wrote: "Alcohol was a straight poison to Scott instead of a food." Of course, we know that alcohol is a poison, but Hem didn't see it that way. There was also a strong section on Tennessee Williams and his time in New Orleans. Laing, who is British, said she "found it almost impossible to piece New Orleans together. It wasn't like any place I'd ever visited, though at times it reminded me in its rich confusion of Addis Ababa, especially at night." Aside from the New Orleans section, the travelogue portions were the weakest part of the book. Laing took an Amtrak train for much of her journey across the States, and she included far too many pointless observations and random conversations with strangers that had no bearing on the narrative. 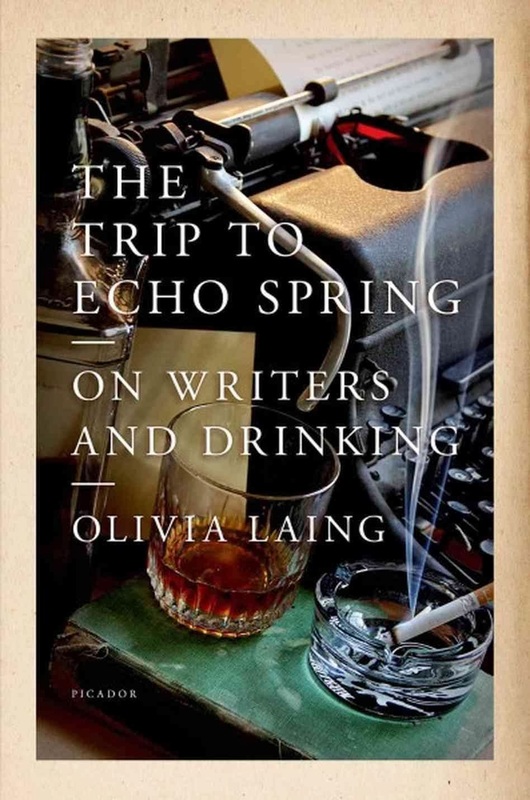 It seems like Laing was trying to mix three different types of writing: scientific research into alcoholism, a travelogue around the U.S., and a critical analysis of literature and letters, but the final concoction was flat. Note: The title refers to a line in Tennessee Williams' play "Cat on a Hot Tin Roof," when Brick, the alcoholic husband, says he's "takin' a little short trip to Echo Spring," which was a nickname for a liquor cabinet that housed a brand of bourbon.